One of the great benefits of the Zembula Universal Code is that it enables your recipient to go directly to your website to interact with the experience from the email, rather than be taken to an interstitial page first. The instructions below will guide you through setting up triggering an experience from an email campaign. Once you have installed and enabled your Universal Code (click here to learn how to do that), head over to the Campaigns section and select the campaign you want to share. Click on the Email link at the top. 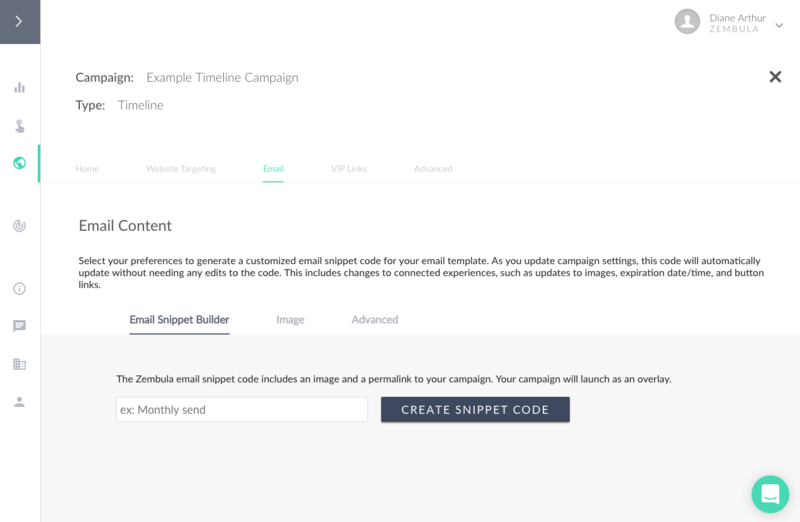 Name your campaign and click Create Snippet Code. Input the URL of the page on which you want your experience to appear. Select your Email Service Provider and the appropriate account you are using. Set the image size. You can either input a specific image size, or you can choose to keep the image responsive, which will resize automatically depending on the device the recipient is viewing on. Finally, copy and paste the email snippet into your email template, and you're good to go! 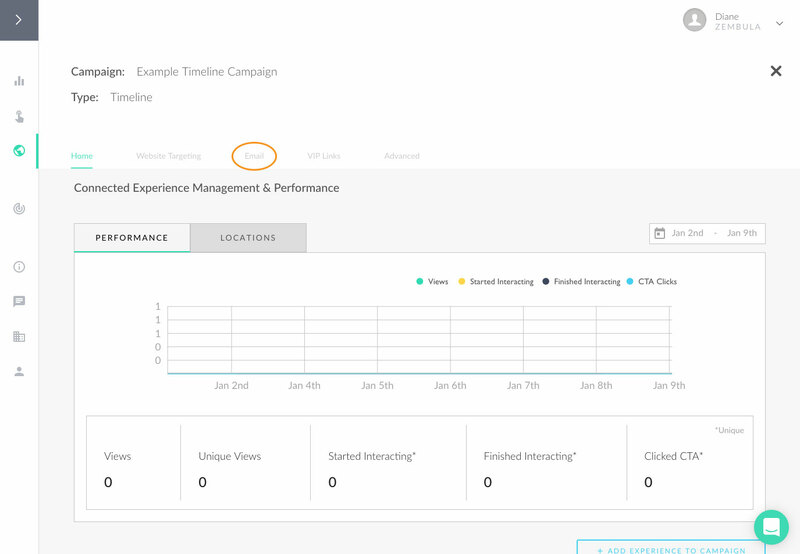 Now, when your recipient clicks the link in the email, they will be taken to the page you indicated, and the experience will display immediately as an overlay.